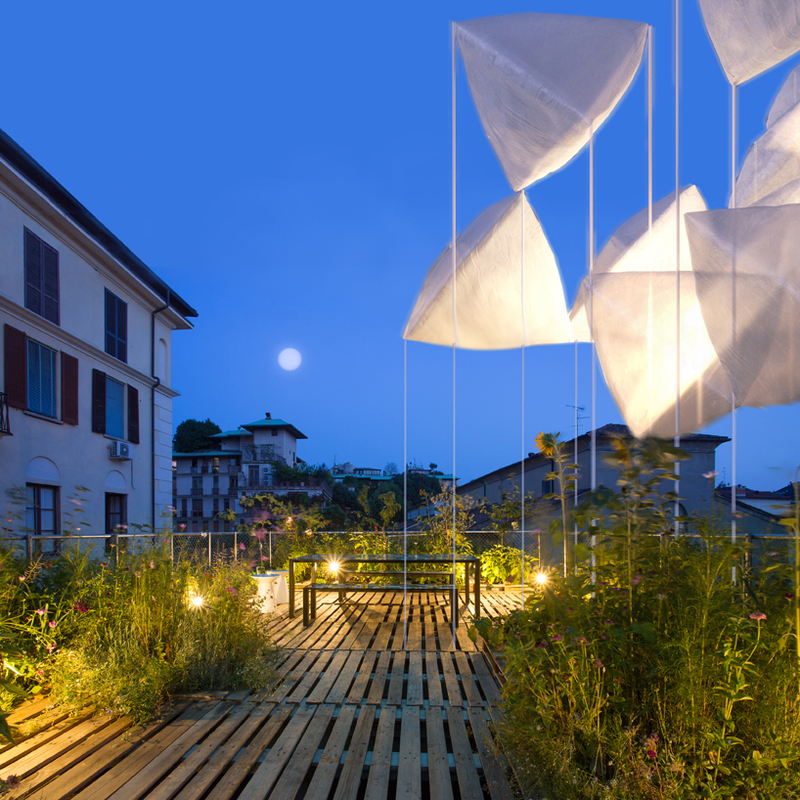 piuarch presents agrAir during milan design week 2018, an installation that combines earth and air to outline the careful use of resources, the dissolution of contrasts between interiors and outdoors, natural and artificial spaces as key values of tomorrow’s living. part of the inhabits program, the installation occupies the central part of piazza castello to offer visitors an experience of reflections, gentle movements, lights, shadows, fragrances and colors. piuarch’s installation runs along two parallel levels, with continuous connections between them. the ground level consists of an expanded clay footboard, structured onto a 2.1 by 2.1-meter module thats includes two pedestrian crossings almost entirely covered by herbs and graminaceous plants. 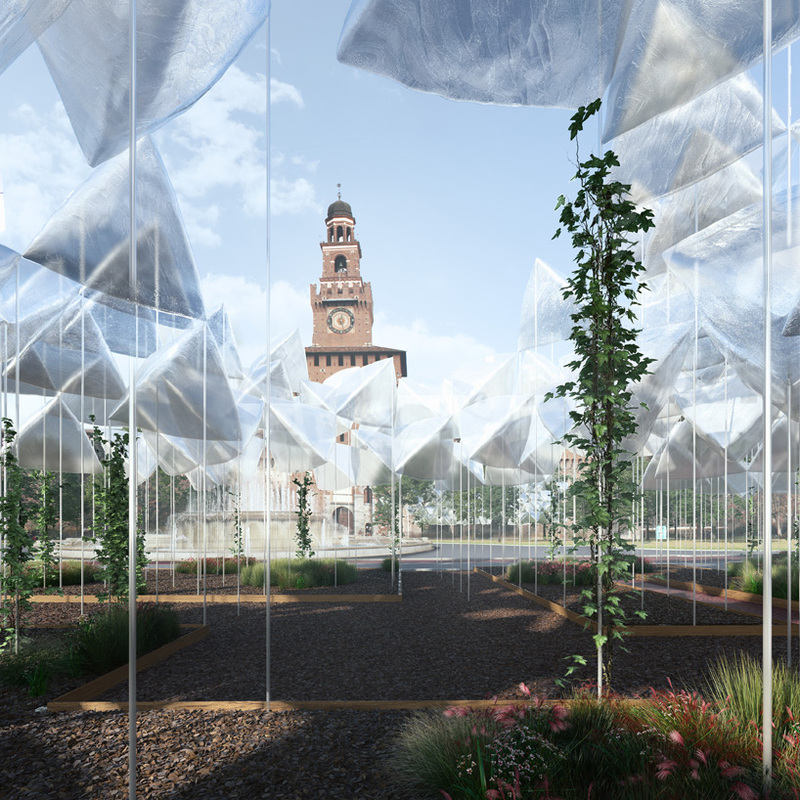 based on predefined patterns by landscape designer cornelius gavri, the final image is that of a botanic garden, enriched by colorful flowers and perfumes which aims at restoring biodiversity and the concept of agriculture in the heart of the city. 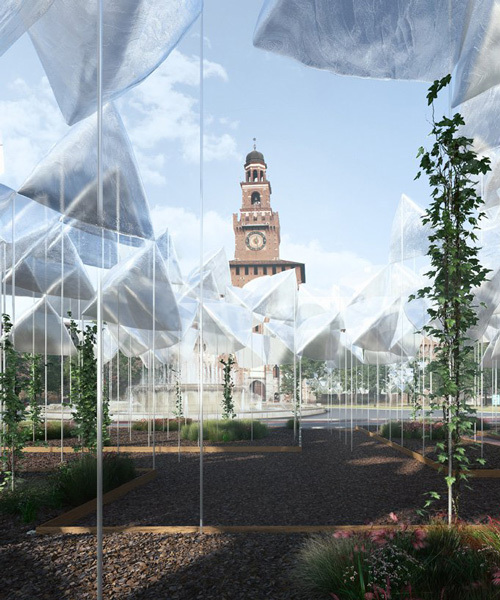 on the upper level, a cloud of prism-shaped balloons, made of very soft recyclable film follows the movement of the air. the transparent inflatables are placed on two different levels, three and six meters high, and are held down by nylon threads. their reflections change color during daytime while at night, artificial lighting further accentuates their presence and turns them into fluctuating lanterns. 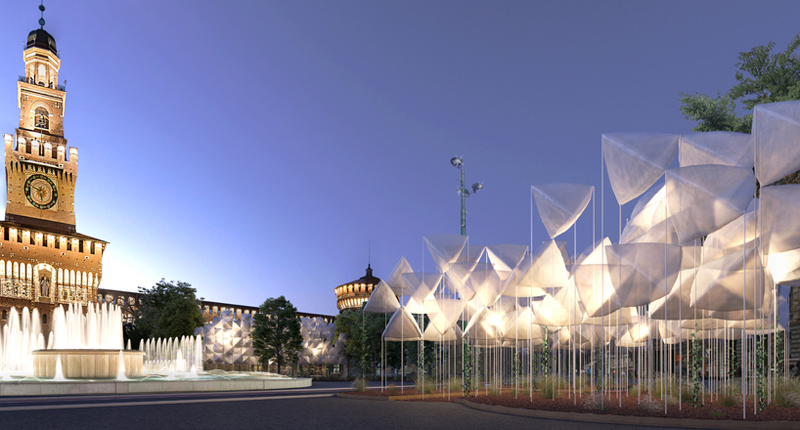 between the two horizontal layers, acrylic glass rods are used as support for climbing plants reaching towards the balloons, marking the indissoluble link between nature and manmade artifacts.